Okay, let's be realistic. This doesn't mean serving a festive feast of crisps, chocolate cake, coke and chips. But making party food your little ones won't eat just because it will impress the other parents isn't the way to go. Balance the good (fruit, veg and healthy sarnies) with the bad and the ugly (cake and crisps) and everyone's happy. Birthday parties for little ones are not really the place to showcase your culinary masterpieces – or to practice new recipes. You will be catering for a variety of tastes, regardless of the age of the children, so it's usually best to cater to the majority and serve something tried-and-tested that is easy to prepare. Most kids' parties rely on staples such as sarnies and packets of crisps, fish fingers and chips, pasta or pizza. If you add a few plates of sliced cucumber and carrot, a slice of cake and a party bag, you're in business. Nobody wants to be a slave to the kitchen, and most parents want enough freedom during the party to see what their cherubs are actually getting up to. Do the bulk of the preparation the night before and do only simple fresh preparation on the day, such as making a fruit salad or cutting veggies into strips. If it's a birthday party, have the cake ready at least 12 hours in advance – just in case! Whether you have an activity decorating fairy cakes, making your own pizzas or fashioning a delicious ice cream sundae, involving the kids will be easier on both you and them. Picky eaters are also more likely to tuck in if they had a hand in the preparation. Make a game out of it – or an entire activity! Kids are more likely to eat well if the menu offers food that is a bit fun and frivolous. If you host an Under the Sea party, for example, call the lemonade Mermaid Nectar, make green jelly (Seaweed Foam) and add a bit of blue food colouring to the popcorn. Serve fish fingers and chips and you've got yourself a fantastic Pirate or Mermaid lunch! Your three-year-old may fall in love with those cartons of sweet “juice” that have drawings of pretty princesses on them. But some children don't like sweet drinks, and others only drink water. Dehydration can be a problem at parties where kids are involved in vigorous physical activities, so have the right kinds of drinks on hand – including water – and plenty of it. Making sure you have enough food on hand is vital. Who knows when an extra sibling – or four - will pop up, and what happens when sweet little Billy scoffs eight pieces of pizza? Having a child complain that they didn't get enough to eat is a sure party spoiler. 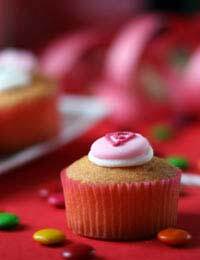 Simplicity is key when it comes to kids' party food and a quick and easy fairy cake recipe is a necessity. No party is complete without some fairy cakes so check out our recipe, which can be found in our baking cakes article. Once you have your made your cakes put chewy sweets on to decorate and you've got a winner. Don't stress yourself out worrying about what to put into your party bags, they don't need to be overflowing with treats or toys. All you need is a slice of cake, a couple of cheap and cheerful little toys e.g. a bouncy ball and something noisy is usually well received by kids, a few sweets and a packet of kids biscuits. Why not throw in a balloon aswell- for some reason they keep kids entertained for hours! If your kids are small, chances are the vast majority of the parents will stick around for the party. And when the kids get served, no doubt the parents will want something to eat as well. It can be as simple as crisps with dip and a veggie plate, or more elaborate sausage rolls, salmon and cream cheese bagels or a pasty plate. Make sure you have grown-up drinks on hand as well. Ask a few friends if they can stick around for half an hour and help you clean up. This can be especially important if you are holding the party in a rented hall which charges by the hour. You don't want to spend all afternoon scraping icing off the floor by yourself! 12. Sit Back - and Relax! It's no use worrying yourself silly - this is just a kid's party! Take time to smell the roses and enjoy. Your children are only young once!